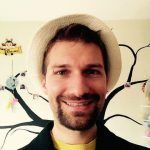 I don’t have much experience in printing, but I do have huge experience as father, and I know how important is a font in a book for children. On the end of the day, you’ll probably read the book to your child in the bed, with low light. Not ideal conditions for reading really, so the font (and font size) becomes crucial. First step done! Still, too many fonts to pick from. Using all infos above, we came up with a short list of fonts: Windows Comic Sans, Sassoon Primary, Architect’s Daughter and Apple Chalkboard. Still, for a reason or another none of those fonts seemed to be “Click! like”. It was at this point that we realised early readers struggle to read in almost the same way as people with Dyslexia. So we went out there again in the Wild Internet, and we finally found the Dyslexie Font. And we loved it at first sight! It’s a clean font, and also really in tune with our book style. So decision is made! While researching for the font, we learnt quite a lot about Dyslexia, and we discovered that about ten percent (10%) of the population are dyslexic. 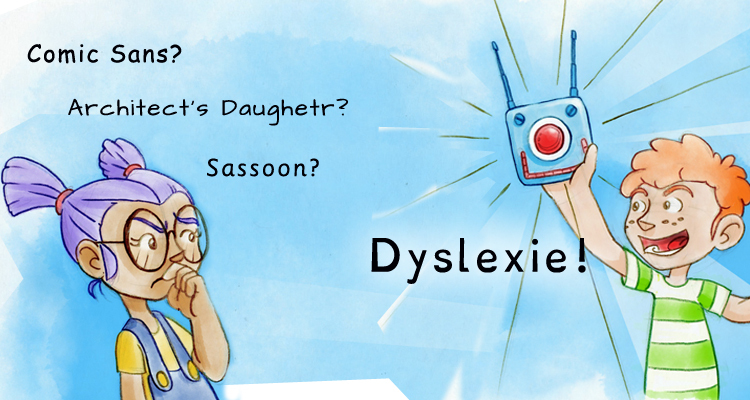 We are really glad to be able to offer a book that all children (and their parents) can enjoy, as well as giving our little contribution to raise awareness about Dyslexia. The book is coming very soon, stay tuned! Inspiration is everywhere, you just need to be open to it. I was commuting on the tube as usual, but that day something extraordinary happened. Listening to some kids laughing about travelling in London, a funny thought came to mind, and few hours later Click! was born.